AquaFun – Summertime Water Park – Strefa Aktywności Gospodarczej Sp. z o. o. About SAG Sp. z o.o. The construction of the Summer Water Park announced by the president of Legnica at ul. Stromej, in the immediate vicinity of the City Park, becomes a fact. There is a building permit. A complete construction and executive documentation for the modern Aquafun Legnica has already been prepared. The planned facility will be erected in the area of the South Bath Resort, built in the 1920s, opened in 1924. All historic modernist buildings existing there will be preserved and subjected to a diligent renovation. New extensions will make this style. All water and leisure infrastructure will meet the latest technological standards. The Summer Water Park will be built on the area of approximately 24,000 m2. The surface of the water surface of swimming pools – swimming pool, recreation pool, children’s pool and transition shower trays – is about 1,650 m2. Green areas will extend over 12.5 thousand m2. Aquafun Legnica will be equipped among others in a large water playground for children and adults, consisting of four slides: pontoon, “Onion” (50 m), Kamikaze and a three-track multislide (the only one in the region). The total length was more than 200 meters. The bathing beach will offer: an island for children to play, water and air massages, water pipes and a rushing river, playground, grill, gym under the cloud, social and catering facilities, paddling pools and a relaxation area for kids and adults. The Summer Water Park “Aquafun Legnica” is already well connected with the nearby Municipal Park, thanks to the underground pedestrian crossing. Easy and safe access is provided by the collective southern road with a large car park at Bielańska street. What’s currently in this area? The object recreational and leisure complex was opened in August 1924. The complex includes a swimming pool measuring 50×25 m, swimming pool 20m x 50m located in the northern part of the area, recreational trough measuring 15m x 25m, a paddling pool for children 10m x 15m, paddling pool with showers and a sunbathing area, children’s play area and an athletics corner with athletics equipment. The northern and western part of the area is marked by a belt of cabins in the changing room and storage room. The City Swimming Pool has been largely preserved in its original form to the present day. implementation of low and medium-high greenery plantings. 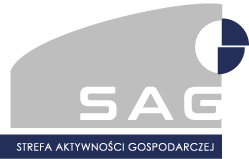 SAG manages an airfield and the adjacent areas. The airfield was used by the Armed Forces of the Russian Federation until 1992. The share capital of SAG Sp. z o.o. 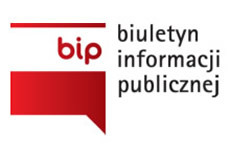 is PLN 13.077.540,00. 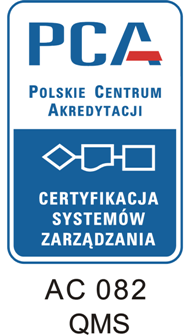 The company is registered under number 0000029353 in the register of entrepreneurs maintained by the District Court for Wrocław-Fabryczna, 9th Commercial Division of the National Court Register.